* Sweat the shallots in 20 g butter without browning it. * Add the white wine and fish broth, reduce by half. * Add the sauce velouté and bring to a boil for 10 minutes. 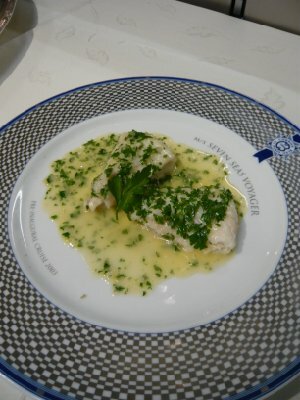 Away from the heat, whisk in 25 g butter, season, add the lemon juice and chopped parsley.